It seems like kids these days are getting tattooed all over their bodies and we can't keep up. Neck tattoos are all the rage and lower inner lip tattoos are considered both secretive and trendy. 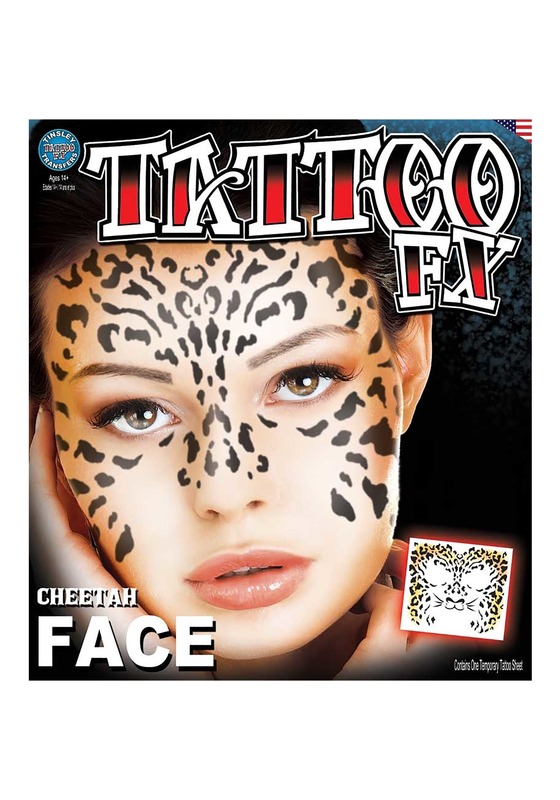 Now, if you're feeling both brave and bold, it's time to get face-ink. That's right, the newest and coolest tattoo-trend is to get inked on your moneymaker. Get a phrase in cursive above the eyebrow or something more demure, like a tiny cross below your eye. Hey, if you're getting freaked out about art being permanently featured on your face, don't worry because we're actually freaking out for you. First of all, ouch! Second of all, talk about a commitment! Getting cold feet is totally normal and thanks to temporary tattoos, you can have more ephemeral face art. Pick up the cheetah temporary tattoo and experience what it's like to have a face tat just for a night. Or a couple hours; it's totally up to you! 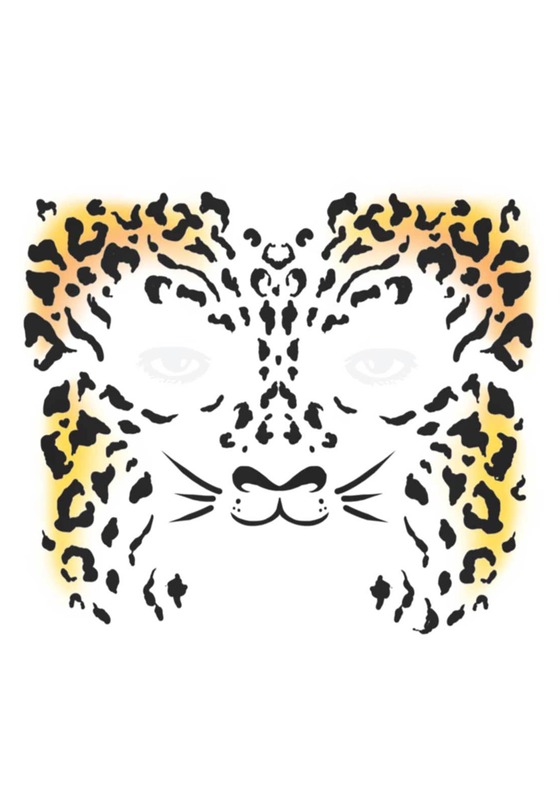 Get this accessory to compliment the cheetah costume of your choosing.